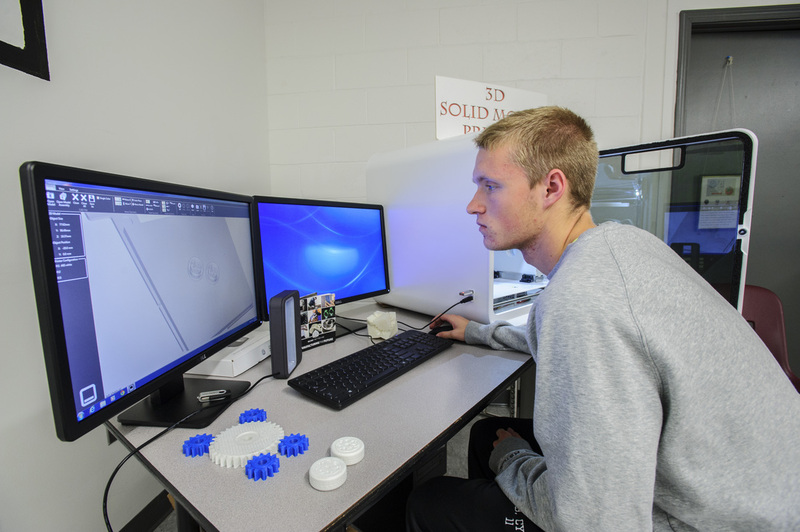 Level I students will have the opportunity to design, develop, and gain skills in the development of manufactured products using the latest in solid modeling software and virtual CNC machinery. Student skills and competencies are common from the following Pre-Engineering and Manufacturing competencies: blueprints & engineering drawings, industrial and personal safety, engineering materials, and career and college options. All MET and Pre-Engineering courses are based on the Engineering by Design curriculum. Numerous hands-on, self-paced projects and assignments that are connected “Real-World” experiences. Level II students will work with Advanced CNC set-up and operations, Computer Aided Manufacturing (CAM) operations, operational management skills and current manufacturing principles such as Lean production flow and inventory, 5-S workplace organization. Students have the opportunity to receive college credits Project Running Start, and the course articulates with Central & Southern Maine Community Colleges. In addition students can earn industry recognized certifications such as; CSWA-Certified SolidWorks Associate, Master CAM-Associate Level, MSSC-Certified Production Technician and Tooling University Certificates. Students utilize advanced features of SolidWorks Computer Aided Drafting software to design a working product and blueprint for manufacturing. Students train on the use of computerized machines worth more than $50,000 each. Students train on the use of a computerized laser cutting machine. Students develop problem-solving skills using SolidWorks computer aided-drafting software with an emphasis placed upon the concept of developing a 3-D model or solid rendering of an object. State of the art computer hardware and software will be used to emphasize design development processes and computer aided drafting & design. Certain design projects that meet requirements become eligible for creation in the 3D Solid Model Printer. Students will learn about various engineering systems, manufacturing processes and extensive use of the engineering design process. 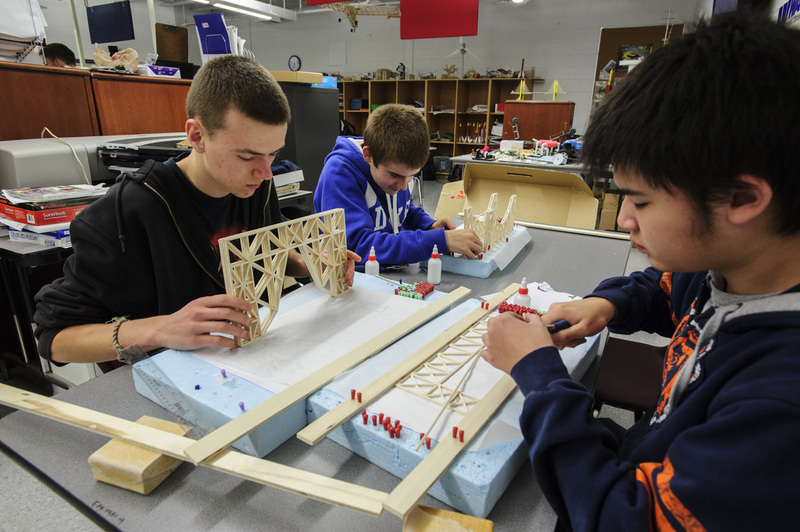 The main goal is to experience theory and hands-on problem solving activities to learn what engineering is all about. Concurrent enrollment in college-level preparatory mathematics if not already taken. Learn and utilize college and industry level software packages (SolidWorks, Chief Architect, CAMWorks, MasterCAM. Design and utilize a 3D printer to make your concepts real. Build and program, custom robots. Build, test custom bridges and rockets. Tooling University – Certificates of Completion options from numerous course options.